Following on from Siouxsie’s “The Rapture”, here’s a great analysis of a really disappointing Cure LP. As we proved in Monday’s entry in the series, the mid-’90s wasn’t an easy time for the pioneers of the goth genre. On the one hand they were reasonably secure as established and proven acts, but on the other, in many cases they were outliving the creative connections that made them who they were in the first place. It’s hard to say that about The Cure because of how unique the band truly is. Though many consider the group to be Robert Smith plus a few other guys in black, the reality is that The Cure is a constantly changing and evolving series of lineups that interact with each other in different ways. Because of that, ranking Cure albums against each other can be very difficult. That said, I’ll tell you a story. A couple of years back a friend of mine was robbed, and the thief took among other things all of the guitar tablature books that my friend had. This included a complete collection of Cure books, all of which are out of print now. My friend called me at my sheet-music store day job to ask me what it would cost to replace the collection. I told him I couldn’t get those books anymore, but that I had a copy of Wild Mood Swings he could just have because it had sat on the shelf unsold for a decade. 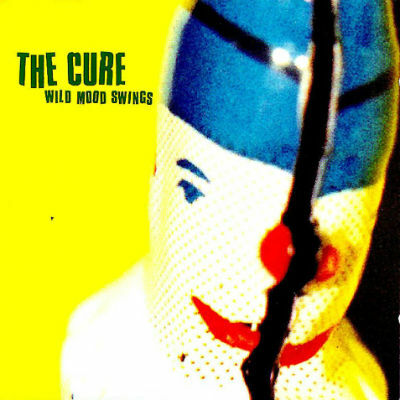 read the rest here >>> The Five Most Disappointing Goth Albums: The Cure, Wild Mood Swings – Houston – Music – Rocks Off.